Illuminate your industrial loft with this geometric design of orbs and rectangles. The luminous lighting elements harken back to the era of Edison and Tesla. 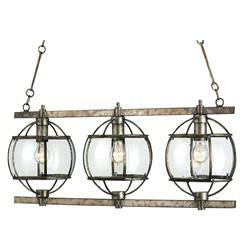 Vintage modern styling and a steely pyrite bronze finish make this an eclectic fixture.